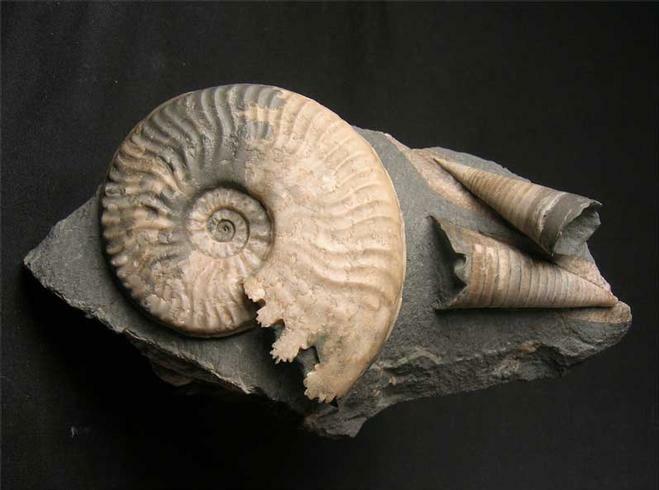 A superb and very unusual fossil association. A beautifully preserved Ludwigia and washed up alongside are two calcified Belemnite Phragmocones. 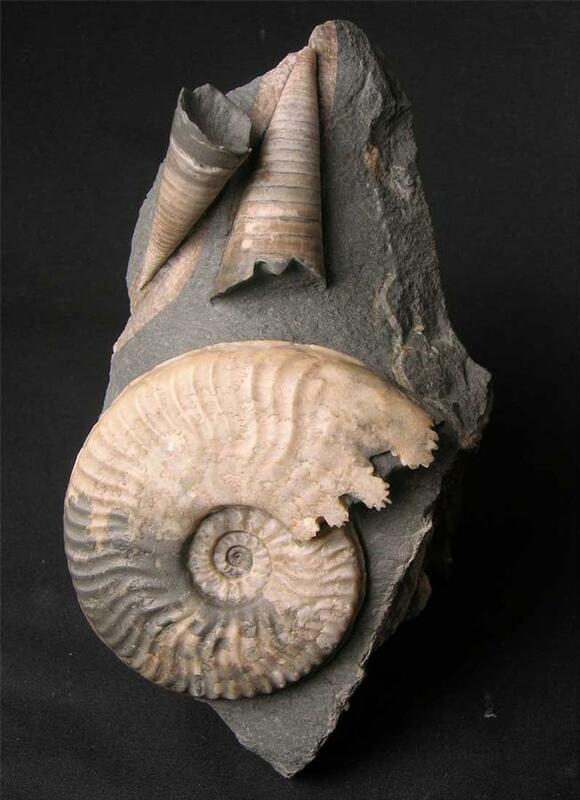 This wonderful fossil was collected over twenty years ago and we have never seen anything like it since. 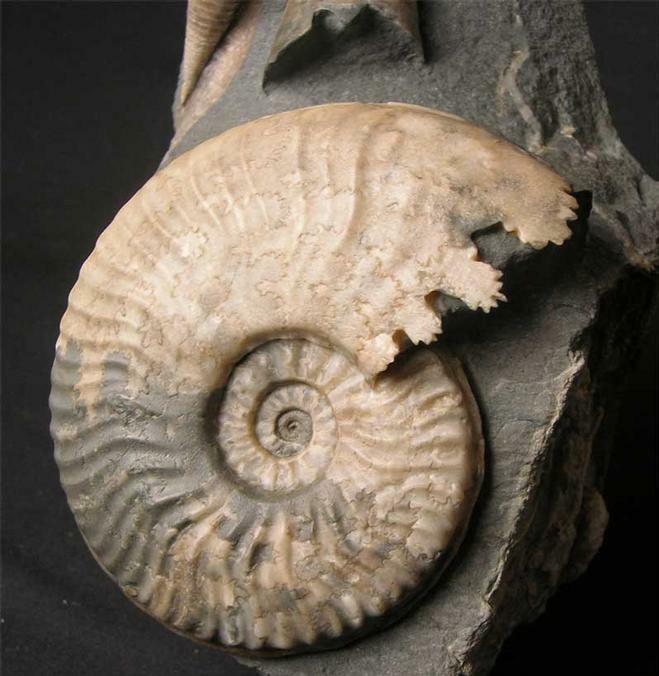 The detail in both the ammonite and the Phragmocones is very fine. Not only would this fossil suit the serious collector but, would make a unique conversation piece around either the home or indeed office space. Any fossil material from this locality is extremely rare nowadays due tot he sheer lack of erosion. 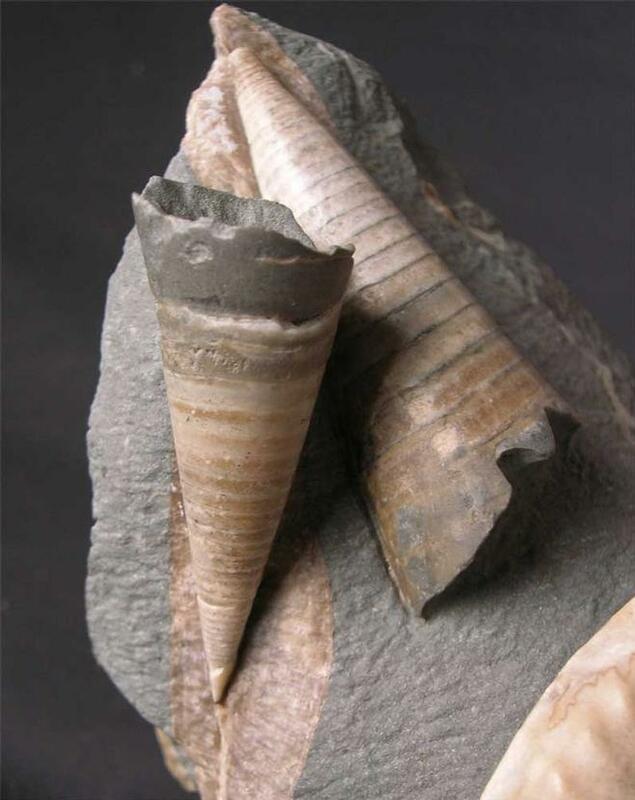 Fossils Direct not only have a huge stock of unique British fossil material but constantly strive to bring to our customers the rarest and best prepared fossils from around the UK. Many hours have gone into preparing this unique fossil. Approximately 175 million years old. The matrix has a cut base for ease of display.